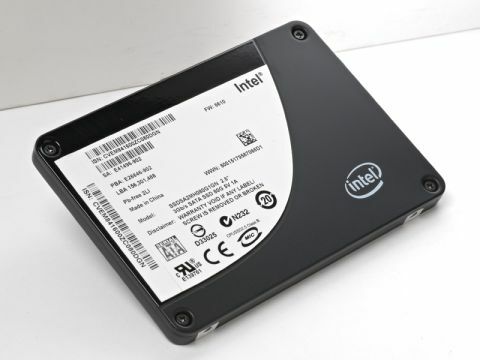 Does Intel's SSD still hold its own? Maintaining performance is the biggest worry concerning SSDs. For that reason, we hope that Intel will forgive us for reviewing a well-used X25-M. While the drive is put at a disadvantage, doing so sheds light on the issue of SSD longevity. In hardware terms, Intel has made no notable changes to the X25-M since it launched last autumn. The drive looks good on paper with 250Mbps read and 70Mbps write speeds, 16MB of cache memory and 10 memory channels. However, doubts regarding the X25-M's performance began to emerge last year. To fix this, Intel released a firmware patch in April. The good news is the patch does a great job of restoring performance to as-new in synthetic benchmarks. The bad news is that results in tests like file extraction are less impressive. The X25-M proved slower than other SSDs. To what extent that's due to lingering controller problems is hard to say. What we can say with confidence, however, is that this drive has been left behind.